Kolmogorov Weakly Turbulent Spectra of Some Types of Drift Waves in Plasma (A.B. Mikhailovskii, S.V. Nazarenko, S.V. Novakovskii, A.P. Churikov and O.G. Onishenko) Phys.Lett.A 133 (1988) 407-409. Kinetic Mechanisms of Exitation of Drift-Ballon Modes in Tokamaks (A.B. Mikhailovskii, S.V. Nazarenko and A.P. Churikov) Soviet Journal of Plasma Physics 15 (1989) 33-38. 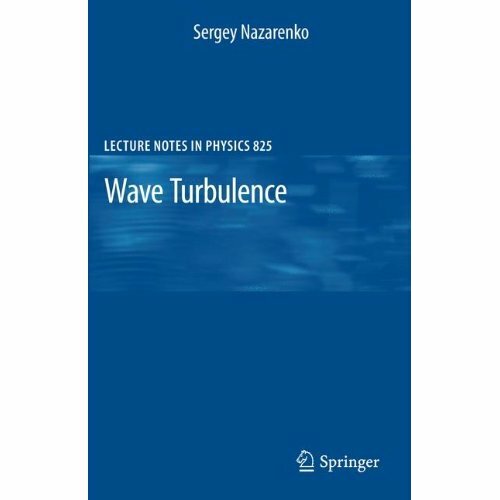 Nonlocal Drift Wave Turbulence (A.M.Balk, V.E.Zakharov and S.V. Nazarenko) Sov.Phys.-JETP 71 (1990) 249-260. On the Nonlocal Turbulence of Drift Type Waves (A.M.Balk, S.V. Nazarenko and V.E.Zakharov) Phys.Lett.A 146 (1990) 217-221. On the Physical Realizability of Anisotropic Kolmogorov Spectra of Weak Turbulence (A.M.Balk and S.V. Nazarenko) Sov.Phys.-JETP 70 (1990) 1031-1041. A New Invariant for Drift Turbulence (A.M.Balk, S.V. Nazarenko and V.E. Zakharov) Phys.Lett.A 152 (1991) 276-280. On the Nonlocal Interaction with Zonal Flows in Turbulence of Drift and Rossby Waves (S.V. Nazarenko) Sov.Phys.-JETP, Letters, June 25, 1991, p.604-607. Kinetic Equation for Point Vortices in a Shear Flow (S.V. Nazarenko and V.E. Zakharov) Physica D 56 (1992) 381-388. 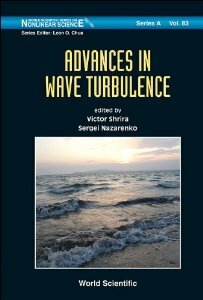 * Wave-Vortex Dynamics in Drift and beta-plane Turbulence (A.I. Dyachenko, S.V. Nazarenko and V.E. Zakharov) Phys,Lett.A 165 (1992) 330-334. Role of the convective modes and sheared variables in the Hamiltonian dynamics of uniform-shear-flow perturbations. (S.V. Nazarenko and V.E.Zakharov) Phys. Lett A. 191 (1994) 403-408. On scaling laws for the transition to turbulence in uniform shear flows (B. Dubrulle and S.V. Nazarenko) Europhys. Lett. 27 (1994) 129-134. Communication through plasma sheaths via Raman scattering process. (S.V. Nazarenko, A.C.Newell and V.E.Zakharov) Physics of Plasmas 1 (1994) 2827-2834. Nonlinear interaction of small-scale Rossby waves with an intense large-scale zonal flow. (D.Yu. Manin and S.V. Nazarenko) Phys. Fluids. A 6 (1994) 1158-1167. * Absorption of sound by vortex filaments, (S.V. Nazarenko ) Phys. Rev. Lett. 73 (1994) 1793-1796. More on the absorption of sound by vortex filaments , (S.V. Nazarenko) Phys. Rev. Lett., 75 (1995) 1868. Resonant absorption of short pulses (S.V. Nazarenko, A.C. Newell and A.M. Rubenchik) Phys. Lett. A , 197 (1995) 159-163. Communication with re-entry space vehicles via short pulses (S.V. Nazarenko, A.C. Newell and A.M. Rubenchik) Radio Science , 30, issue 6, 1753-1766 (1995). Nonlinear sound-vortex interactions in an inviscid isentropic fluid: a two fluid model (S.V. Nazarenko, N.J. Zabusky and T. Scheidegger) Phys. Fluids , 7 (1995) 2407-2419. * A WKB theory for rapid distortion of inhomogeneous turbulence , (S.V. Nazarenko, N.Kevlahan and B.Dubrulle) Journal of Fluid Mech. 390 (1999) 325. A weak turbulence theory for incompressible Magnetohydrodynamics (S. Galtier, S.V. 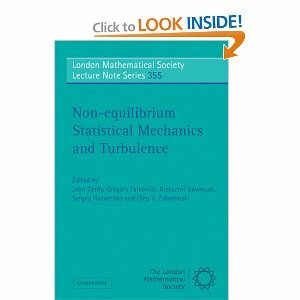 Nazarenko, A.C. Newell and A. Pouquet), in: Nonlinear MHD waves and turbulence, (eds. T. Passot and P.-H. Sulem) Springer-Verlag, 1999. Nonlocality of interaction of scales in the dynamics of 2D incompressible fluids (J-P. Laval, B.Dubrulle and S.V. Nazarenko) Phys. Rev. Lett. , 83 (Nov 15, 1999) 4061-4064. On exact solutions for near-wall turbulence theory, (S.V. Nazarenko) Physics Letters A, 264 (2000) 444-448. Non-local 2D turbulence and Batchelor's regime for passive scalars (S.V. Nazarenko and J.-P. Laval), Journal of Fluid Mech. 408 (2000) 301-321. Dynamical modelling of sub-grid scales in 2D turbulence (J-P. Laval, B.Dubrulle and S.V. Nazarenko) Physica D, 142 (2000) 231-253. Nonlocal MHD turbulence (S. Galtier, S.V. Nazarenko and A.C. Newell) Physica D, 152-153 (2001) 646-652. Wave turbulence and Intermittency (A.C. Newell, S.V. Nazarenko and L. Biven) Physica D, 152-153 (2001) 520-550. Feedback of a small-scale magnetic dynamo (S.V. Nazarenko, G.E. Falkovich and S. Galtier) Phys. Rev E, vol 63, 016408 (2001) (8 pages). Breakdown of wave turbulence and the onset of intermittency (L. Biven, S.V. Nazarenko and A.C. Newell) Physics Letters A Vol 280/1-2, (2001) pp 28-32. Discreteness and quasi-resonances in capillary wave turbulence (C. Connaughton, S.V. Nazarenko and A. Pushkarev) Phys. Rev E, Vol 63, (2001) 046306 (4 pages). Nonlocality and intermittency in 3D turbulence (B. Dubrulle, J.-P. Laval and S.V. Nazarenko) Phys. Fluids , Vol 13 (2001) pp. 1995-2012. On wave turbulence in MHD (S. Galtier, S.V. Nazarenko and A.C. Newell) Nonlinear Processes in Geophysics, 8 (3): 141-150 MAY 2001. Propagation of Shocks through Nonuniformly Heated Gases (K. Kremeyer, S.V. Nazarenko and A. C. Newell), Physica D, Vol. 163 (2002) pp 150-165. Anisotropic turbulence of shear-Alfven waves (S. Galtier, S.V. Nazarenko, A.C. Newell and A. Pouquet) Astrophys. J. Lett., 564, pp L49-L52 (2002). Dimensional analysis and weak turbulence (C. Connaughton, S.V. Nazarenko and A.C. Newell) Physica D, 184 (2003) 86-97. Wave turbulence in Bose-Einstein condensates (Yu. Lvov, S.V. Nazarenko and R.J. West) Physica D, Volume 184, Issues 1-4 , 1 October 2003, Pages 333-351. Fast numerical simulation using a dynamical model for a small-scale turbulent motion (B. Dubrulle, J.-P. Laval and S.V. Nazarenko) J. Comp. Phys volume 196 (1) pp 184-207, 2004 (arXiv:physics/0101037 v1 5 Jan 2001). * Warm cascades and anomalous scaling in a diffusion model of turbulence (C. Connaughton and S.V. Nazarenko) PRL, volume 92, issue 4 (2004) 044501 (4 pages). (longer version on arXiv). "Noisy" spectra, long correlations and intermittency in wave turbulence (Y. Lvov and S.V. Nazarenko) Phys. Rev. E, vol 69, 066608 (2004) (also on arXiv:math-ph/0305028 v1 13 May 2003). A model for rapid stochastic distortions of small-scale turbulence (B. Dubrulle, J.-P. Laval, S.V. Nazarenko and O. Zaboronski) JFM vol 520 , pp 1 - 21 (2004) (arXiv:physics/0304035 v1 9 Apr 2003) . * Anomalous probability of large amplitudes in wave turbulence (Y.Choi, Y.Lvov, S.V. Nazarenko and B.Pokorni) Physics Letters A, Volume 339, Issue 3-5, p. 361-369 (arXiv:math-ph/0404022 v1 & Apr 2004). Dynamics of the Bose-Einstein condensation ( V.E.Zakharov and S.V. Nazarenko) Physica D, Vol 201, pp 203-211 (2005). Probability Densities and Preservation of Randomness in Wave Turbulence (Y.Choi, Y.Lvov and S.V. Nazarenko) Physics Letters A, Vol 332/3-4 pp 230-238 (2004). Energy spectra of developed superfluid turbulence (with V.S.Lvov and G.Volovik) JETP Letters 80 (7) pp 535-539 (2004). Wave Turbulence (with Y.Choi and Y.Lvov) in "Recent developments in fluid dynamics" 5 (2004), p 225, Transworld Research Network, Kepala, India. Sandpile behaviour in discrete water-wave turbulence (S. Nazarenko), J. Stat. Mech. (2006) L02002 doi:10.1088/1742-5468/2006/02/L02002 (arXiv: nlin.CD/0510054). Differential approximation for Kelvin-wave turbulence (S. Nazarenko) , JETP Letters vol 83, No 5 (2005) pp 198-200 (arXiv: cond-mat/0511136). Discreteness and its effect on water-wave turbulence , ( Y. Lvov, S.Nazarenko and B.Pokorni) Physica D , Volume 218, Issue 1, 1 June 2006, Pages 24-35 (2006) (arXiv: math-ph/0507054). Differential Models for 2D turbulence , (V. Lvov and S. Nazarenko), JETP Letters vol. 83, issue 12, page 635-639. (2006) (arXiv: nlin.CD/0605003). Wave turbulence and vortices in Bose-Einstein condensation (S. Nazarenko and M. Onorato), Physica D, vol. 219 (2006) pp 1-12 (arXiv: nlin.CD/0507051). Energy Spectra of Developed Turbulence in Helium Superfluids (V.S. Lvov, S.V. Nazarenko and L. Skrbek) JLTP, vol. 145 (1-4) pp 125-142 (Nov 2006). 2D enslaving of MHD turbulence (Sergey Nazarenko) New J. Phys. 9 307 doi:10.1088/1367-2630/9/8/307 (2007). Coalescence of particles by differential sedimentation (P. Horvai, S. V. Nazarenko and T. H. M. Stein) J.Stat.Phys., DOI is 10.1007/s10955-007-9466-y arXiv:0705.2618 (May 2007). S. Galtier and S. Nazarenko, Large-Scale Magnetic Field Re-generation by Resonant MHD Wave Interactions, arxiv.org , Journal of Turbulence Vol. 9 (No. 40) (2008) 1-10. Aspects of Two-Mode Probability Density Function in Weak Wave Turbulence (Choi Y, Jo SG, Kim HI, Nazarenko,S), JOURNAL OF THE PHYSICAL SOCIETY OF JAPAN , Volume: 78, Issue: 8 Article Number: 084403 Published: AUG 2009. Optical Wave Turbulence (U.Bortolozzo, J.Laurie, S.Nazarenko and S.Residori) Journal of the Optical Society of America B, Vol. 26, Issue 12, (2009) pp. 2280-2284; arXiv:0904.2552 (April 2009) . Interaction of Kelvin waves and nonlocality of energy transfer in superfluids (Laurie, J; L'vov, VS; Nazarenko, S; et al.) PHYSICAL REVIEW B, 81 (10): Art. No. 104526 MAR (2010). Optical Wave Turbulence (U.Bortolozzo, J.Laurie, S.Nazarenko and S.Residori) book chapter in: "Localized States in Physics: Solitons and Patterns", pp 69-90, Springer-Verlag Localized States in Physics: Solitons and Patterns Descalzi, O.; Clerc, M.; Residori, S.; Assanto, G. (Eds.) 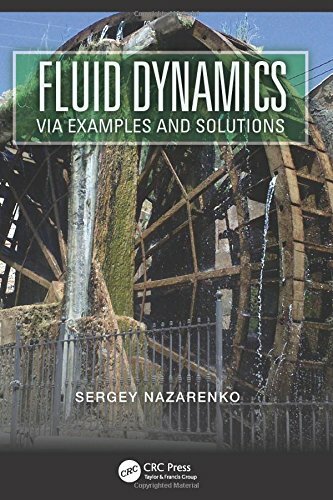 (2011), XVIII, 286 p.
Critical balance in magnetohydrodynamic, rotating and stratified turbulence: towards a universal scaling conjecture (Nazarenko Sergei V.; Schekochihin Alexander A.) JOURNAL OF FLUID MECHANICS Volume: 677 Pages: 134-153 DOI: 10.1017/jfm.2011.67 Published: JUN 2011 - available online (2011), arXiv:0904.3488 (April 2009). One-dimensional optical wave turbulence: Experiment and theory, Jason Laurie, Umberto Bortolozzo, Sergey Nazarenko, Stefania Residori, Physics Reports, Volume 514, Issue 4, May 2012, Pages 121-175. Dual local and non-local cascades in 3D turbulent Beltrami flows E. Herbert, F. Daviaud, B. Dubrulle, S. Nazarenko, A. Naso, EPL, 100 (2012) 44003.